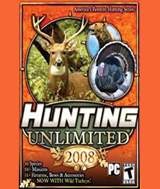 Over 60 hunting scenarios ("challenges") to choose from "Free hunt" mode offering endless combinations of random hunting situations. Choose your prey from 16 species of game to hunt. 28 weapons to pick from. 28 hunting accessories, calls and lures at your disposal.